Today, Innovative Auctions announced the resolution of eight Top Level Domains in the second private gTLD auction commencing on August 13th for a total of $9,651,000. 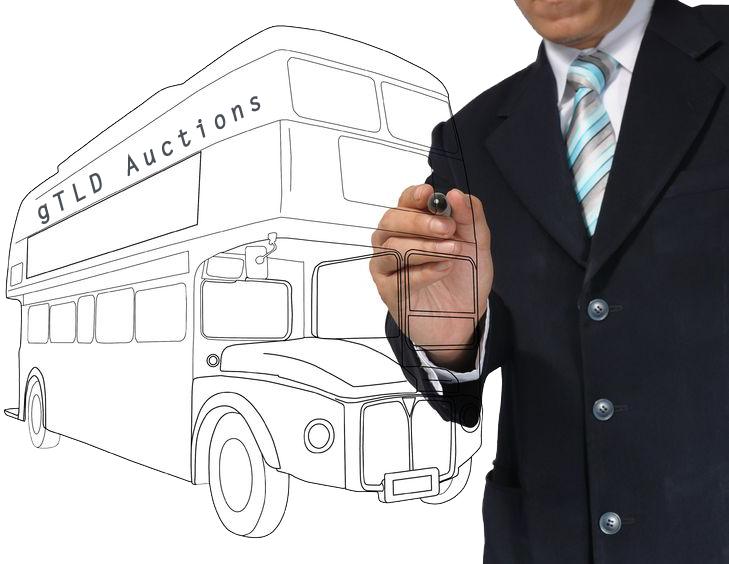 With the first and second auctions successfully completed and the third auction scheduled for September 10th is now a good time for a gTLD auction to resolve your contention set and jump on the next auction bus? Once the auction commences it cannot be adjourned. Thus, if your company is unable to meet all of the requirements, wait for a later auction date. Timing: Successfully securing your TLD requires a strategic plan to catch the right bus at the right time to ensure a smooth ride to the desired destination. However, determining which bus to catch can be a challenge. Are your TLDs within the ‘uncalculated risk’ string category resulting in further delays and risk of not being accepted? Is it better to jump on now or wait for a later auction round? What are the implications? Would it be logical to surmise that large companies are focusing on the TLDs with the highest returns and if so, how could this impact the value of your gTLD auction value? What value is a competitor willing to sell their interest? What is the probability that delaying will increase or decrease this value? Most applicants were hesitant to participate in the initial auction rounds due to unexpected bumps or for the opportunity to extrapolate the results to validate their expected auction values. Is there additional insight to gain as the number of completed auctions increases? If so, should you postpone going to auction? Maybe not. Predictability will likely decrease as applicants incur unexpected TLD losses resulting in cash windfalls. This is cash that can be used in later auctions when companies are scrambling to secure TLDs and in turn pay higher prices. On the other hand, perhaps bidders will have exhausted their auction funds early on, creating unexpected ‘deals’ in later rounds. While you do not want to entirely miss the bus and end up in the ICANN auction, in which there is no financial upside, choosing the gTLD auction round that best suits your company and its goals is the priority. Positioning: The core of your future business is your TLD. Hence, it is critical to carefully scrutinize the key aspects impacting your business and strategize accordingly. Value proposition, target markets, unique services, competitors, partners, expected launch date, pricing, financing and cash are only some of the variables to analyze in your business and financial models. This is akin to selecting a seat on a bus: front or back, close to the exit, sit or stand. Potential risks and weaknesses of each variable and their related impacts need to be considered both on a consolidated basis and within the context of your company’s critical pathways. Have all parties in the contention set passed initial evaluation or is there one applicant whose results seem to be inexplicably delayed? Companies with multiple TLD applications need to consider each contention set independently as funds gained from losing in one auction set are not available for use in another set during the same auction. Thus, a loss in one auction round will provide additional cash that can be used towards a winning bid in a future auction date. Route: Selecting the most direct route definitely has its benefits. Securing your company’s TLD sooner allows for resources to be used in activities creating a competitive advantage. Developing a market presence, engaging with registrars to sell your domains, developing relationships with partners, choosing an auction provider for premium domain lists and collision resolution all help support a successful launch. This is on top of the ICANN contracts, pre-delegation checks, Trademark Clearing House and other activities requiring much-needed time and attention. Additionally, numerous providers are searching for TLDs to feature in promotions and case studies that could be invaluable in increasing a TLD’s market presence. However, this strategy is not without risk. Early TLDs also face the daunting task of educating the public. 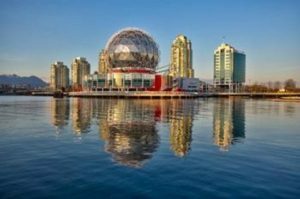 Perhaps you would prefer large organizations such as Google—with established and powerful marketing channels—to launch their TLDs first, thereby educating the public with no cost or risk to your organization. On the other hand, first-mover advantage and the novelty of new TLDs may provide a significant upswing that outweighs any related pains. If you would prefer to sit back and let other TLDs pave the road, then don’t forget ICANN provides you one year to delegate to the root zone after signing the Registry Agreement. Jon Dewey once said, “Arriving at one goal is the starting point to another”. If your goal is to win your TLD then trip planning is essential – catching the wrong bus could leave you stranded in the wrong neighborhood.